People often think that a WordPress developer is just a creating your blogging platform, which was true in the past. WordPress has evolved into a powerful content management system (CMS). While WordPress is still great for a simple blog, you can now build almost anything you can dream of from complex websites to apps. Read on to learn why WordPress may be the best choice for your Castle Rock WordPress design project. WordPress’ ease of use and it’s complete flexibility is the main reason it has grown so much in popularity. According to a recent survey, WordPress powers 22.5% of all websites on the internet. You may not have realized it or imagined large companies would use WordPress but here are some big names you may have heard of that utilize WordPress: Time Magazine, Google, Facebook, Sony, Disney, LinkedIn, The New York Times, CNN, eBay, and more. Let’s take a look at why WordPress is a great choice for you. This means you are free to download, install, use and modify it. It is also open source which means the source code of the software is available for anyone to study, modify and do what they want with. This is part of what allows WordPress to currently offer 2700+ themes and 32,000+ plugins available for free. To run WordPress, all you need is a domain and web hosting. We recommend SiteGround because it is rated as one of the to hosting sites for WordPress users and their support is top notch. They also have one of the most user friendly user interfaces that I have ever used. WordPress is used by millions of people and one of the reasons why people quickly adapt to WordPress is because it is fairly easy to learn to use. For any WordPress related issue, you can simply search the web for a solution and since WordPress is used by so many people, you are likely not the first person to have a particular question and in turn, there will be many solutions. Most people that use WordPress are neither web designers nor developers and most people start using WordPress without any prior website design knowledge or experience. One of the reasons that WordPress is such a great option from a design perspective is that there are thousands of free themes to choose from, so you can give your website any look you want. There is a theme for any type of website you could possibly want. Are you a personal trainer, a cupcake baker, an attorney, running for office? There’s a theme for that and anything else you can imagine. The reason that WordPress themes are so popular is that your site is already made. All you have to do is enter you content and define your logo, colors, fonts, and images, and all of this is done with a few clicks of your mouse. 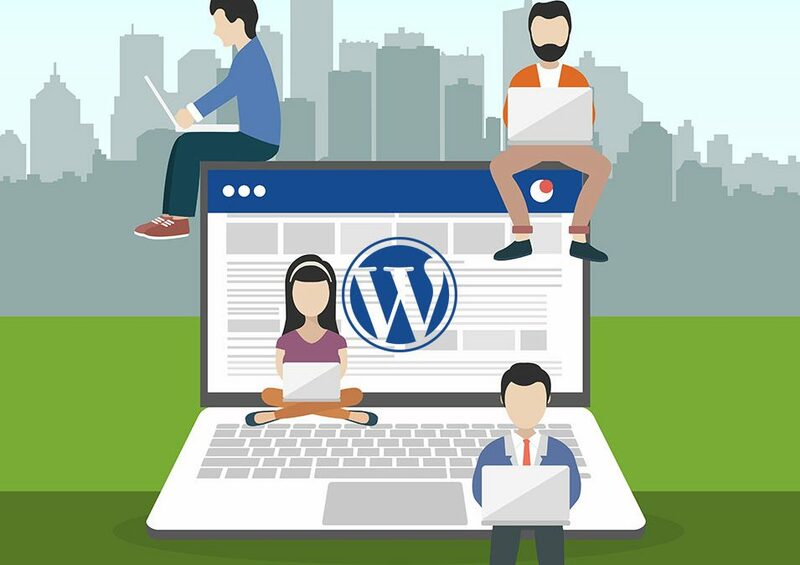 If you want a completely original website designed and created just for you, WordPress is also a great solution because there are many builder programs out there that will allow someone with a little bit of tech knowledge, such as Robert Arthur Designs, to design a completely custom site for you. WordPress does most of the work for you and creating great SEO is as simple as filling in a few text boxes. There are also numerous plugins such as Yoast that walk you through everything you need to know and do to make your site even more SEO friendly and achieve great rankings. There are so many management features that make WordPress a great choice. With its built in updater, you can make sure all your plugins and WordPress itself is always up-to-date. You can also use great backup plugins like UpDraft to make automatic updates a breeze. WordPress is developed with security in mind, so it is considered quite safe and secure to use for your website. Your never totally secure though so there are great plugins out there for site security as well such as Wordfence. Just like WordPress, Wordfence is simple to set up with a few clicks and you’re done. When You Make The Choice, Choose Us! Above are some of the best reasons to choose WordPress for your new website or your website re-design. When you make the choice to hire a WordPress developer, make sure and come to us and let us create a Castle Rock WordPress site that is perfect for you and your business! Take a look at some of our work! Robert Arthur Designs proudly serves Colorado, Douglas County, Castle Rock, Highlands Ranch, the Denver Tech Center, and Denver. Contact us to find out how we can help you with your web design needs.